Jason Davila has been appointed principal of Pugh Elementary School. Davila has been with HISD since 2014, most recently as assistant principal at McReynolds Middle School. Davila was an elementary teacher in Fort Bend ISD and the charter school system before completing a year-long principal internship at Texas Serenity Academy. 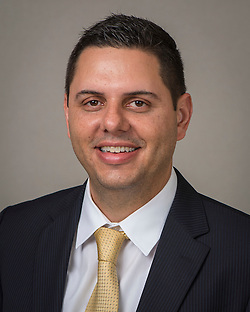 Davila has a bachelor’s degree in management studies from University of Houston and a master’s degree in educational administration from Lamar University. Davila recently completed the HISD Principal Candidate Development Opportunity. This entry was posted in Staff updates and tagged Pugh ES on July 10, 2017 by HISD Communications. More than five dozen HISD science, technology, engineering, and math teachers took part in a summer institute recently that was designed to help boost students’ math and science scores by incorporating more fun into their lessons. The educators came from 23 HISD elementary and middle schools that received part of a TIF4 STEM grant from the U.S. Department of Education. The grant also provides resources such as equipment and technology, and participating teachers will receive additional training opportunities throughout the school year and share what they have learned with other faculty members at their campuses. This entry was posted in District I - Elizabeth Santos, District II - Rhonda Skillern Jones, District IV - Jolanda Jones, District IX - Wanda Adams, District V - Sue Deigaard, District VII - Anne Sung, District VIII - Diana Dávila, Elementary Schools, Middle Schools, STEM, Teachers and tagged Blackshear ES, Braeburn ES, Burrus ES, Codwell ES, Durkee ES, Eliot ES, Fleming MS, Fondren MS, Foster ES, Garden Oaks K-8, Grissom ES, Herrera ES, Law ES, Looscan ES, Mading ES, McGowen ES, Milne ES, Montgomery ES, Pugh ES, Ross ES, Southmayd ES, Sugar Grove Academy, Wilson K-8 on August 7, 2015 by HISD Communications. Comerica Bank awarded a total of $20,000 in community grants to five HISD schools in the Lockwood area to commemorate the bank’s 20th year of operation in Houston’s culturally rich Fifth Ward. Pugh Elementary School was the big winner, with $10,000 for its proposal to put a tablet in every one of its classrooms. Wheatley High School received the second-place award of $4,000 and plans to invest in spirit incentives, as well as instructional improvements. McReynolds Middle School also took home $2,500, while Atherton Elementary School won $2,000, and N. Q. Henderson Elementary School won $1,500. The grants were awarded to these schools because they are located near a newly constructed Lockwood Banking Center. This entry was posted in District II - Rhonda Skillern Jones, District VIII - Diana Dávila and tagged Atherton ES, Comerica Bank, McReynolds MS, N.Q. Henderson ES, Pugh ES, wheatley hs on February 11, 2015 by HISD Communications. Breathing exercises and yoga poses are just a few of the things HISD students learn in the Sonima Health and Wellness program. Fourteen additional HISD schools now offer the curriculum, which is offered by the Sonima Foundation and teaches students multiple skills for a healthier lifestyle. This entry was posted in District I - Elizabeth Santos, District II - Rhonda Skillern Jones, District III - Sergio Lira, District IV - Jolanda Jones, District V - Sue Deigaard, District VI - Holly Maria Flynn Vilaseca, District VII - Anne Sung, District VIII - Diana Dávila, Elementary Schools, Health/Wellness, News and tagged Almeda ES, Anderson ES, Benavides ES, Briargrove ES, Durham ES, Eliot ES, Energy Institute HS, McGowen ES, Moreno ES, Pugh ES, Rucker ES, Scarborough ES, Sherman ES, Sinclair ES, yoga on January 12, 2015 by HISD Communications. Scheduling conflicts usually prevent high school students from volunteering with younger students during the school day, but two district campuses figured out a clever way to work around that obstacle in order to take part in the district’s Literacy by 3 movement. This entry was posted in District I - Elizabeth Santos, District VIII - Diana Dávila, Elementary Schools, High Schools, Literacy and tagged Davis HS, Pugh ES on November 24, 2014 by HISD Communications. Two HISD elementary schools got “taken over” by tax, audit, advisory, and consulting professionals from a firm in downtown Houston on June 6, when representatives from Deloitte traded their suits and briefcases for T-shirts, sensible shoes, and a custom curriculum dedicated to literacy. Deloitte employees came to Pugh and Browning elementary schools that day as a part of the company’s 15th annual IMPACT Day of community service, which usually benefits other HISD campuses with whom Deloitte has on-going partnerships. This entry was posted in Elementary Schools, Literacy and tagged Browning ES, Pugh ES on June 12, 2014 by HISD Communications. A new team approach – blending classroom learning with home support — is revolutionizing teacher-parent conferences in an HISD pilot program. Centered on “Academic Parent-Teacher Teams,” the approach being tried at eight schools brings in groups of parents to meet with their child’s teacher three times a year. Instead of merely walking out with a report card, these parents know where their youngster stands in relation to the rest of the class – and take with them important tools to help support in the home what’s being taught in the classroom. This entry was posted in Early Education, Elementary Schools and tagged APTT, Durham ES, Fonwood Early Childhood Center, Garden Villas ES, Patterson ES, Pugh ES, Sugar Grove Academy, Welch MS, Wharton K-8, Whittier ES on December 3, 2013 by HISD Communications.